Shine A Blind has offered expert blind repair for over 25 years. Our office/showroom in Edmonds carries a full line of repair parts for all major brands and our field technicians are fully trained. 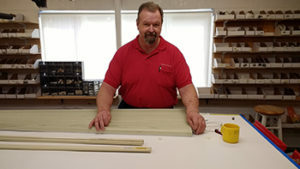 Our mobile trucks also carry repair parts to service your blinds on-site at your home or office. Call us today for your repair needs at 425-771-7799 or send an email to info@shineablind.net.